Allied International has over 30 years expereience selling flexible hose primarily in the aerospace industry in Europe and Asia. As distributors and sales representatives we won the first applications at Airbus and Rolls for Parker Stratoflex. Subsequently we represented Smiths Titeflex at the major European accounts and some of our former salesmen continue in that role. Today we work closely with aftermarket hose shops supporting our aerospace customers and we resell industrial flexible metal and plastic hose as well as conduit manufactured by Rudolph of France, one of the pioneers of flexible hose. Allied International is pleased to sell Rudolph Flexible Hose into the United States. 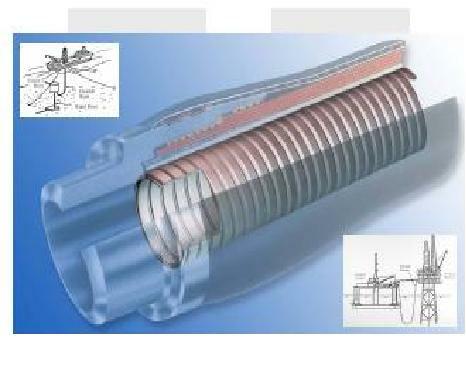 Rudolph is a European leader in stripwound metal flexible hose for industrial applications in nuclear power, aerospace, petrochemical, steel mills, and off shore rigs. Rudolph also manufactures conduit for electrical wiring.